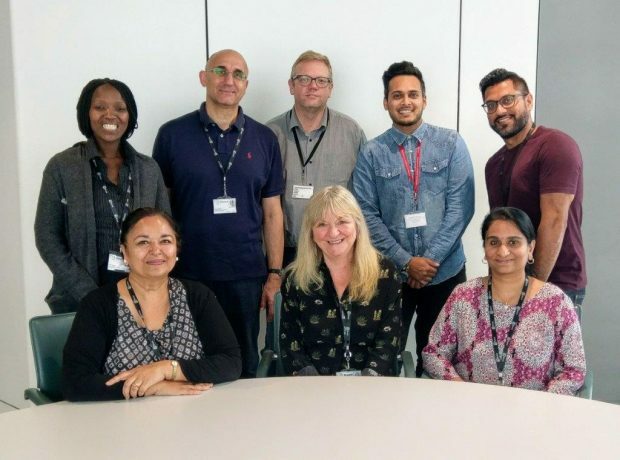 In the second of our ‘Through the keyhole’ series on spot checks, we’ve asked colleagues from Brent Council to tell us all about their experience – the dos the don’ts and what they learned from the process. Let us know if you have any questions or comments or if there’s anything you’re not clear on about how spot checks work. Many thanks to Nicky Case, the Troubled Families Co-Ordinator in Brent for sharing her insights! 26 cases were selected by DCLG, which equated to 10% of our total claims. James Taylor and Anna McCaul. Alima Qureshi was scheduled to attend but had to send her apologies on the day, unfortunately. The Operations Director for Integrated and Improved Outcomes (CYP) was there to introduce the day and returned to hear the feedback. For the rest of the day, we had out Quality and Localities Manager, Early Help, our Senior Data Analyst, one team leader and three key workers. Two members of the data team and I attended the spot check workshop held by DCLG in November, which we found useful. We decided to produce printed case files on each of the families based on the three key questions that spot check officers were interested in (eligibility, evidence of Troubled Families approach and evidence of claim eligibility). It was a really positive day; the DCLG team were very reassuring and clear on the purpose and processes. The key workers were nervous but once they started talking about their work and outcomes with families, the nerves disappeared. We were pleased that there were no invalid claims. We were required to provide attendance information for two children educated out of borough, but we were able to provide this before the DCLG officers left for the day. The visit helped to reinforce how critically important planning and preparation are. It was a very good process to go through to ensure that we have the robust systems in place for evidencing the great work being done. As a result of the spot check, we amended some internal forms and processes in relation to employment to ensure all the relevant data is captured. Nothing per se but I would definitely recommend that the spot check workshops are repeated. We analysed the task to understand exactly what was required. You need scrupulous planning, preparation and excellent team work! If you’d like to find out more about spot checks, please get in touch with the spot checks team or contact Nicky directly to hear more detail about how Brent prepared for their visit.